Watch Video for Refresh Spot On Water Bottle - 28 oz. Refresh Spot On Water Bottle - 28 oz. 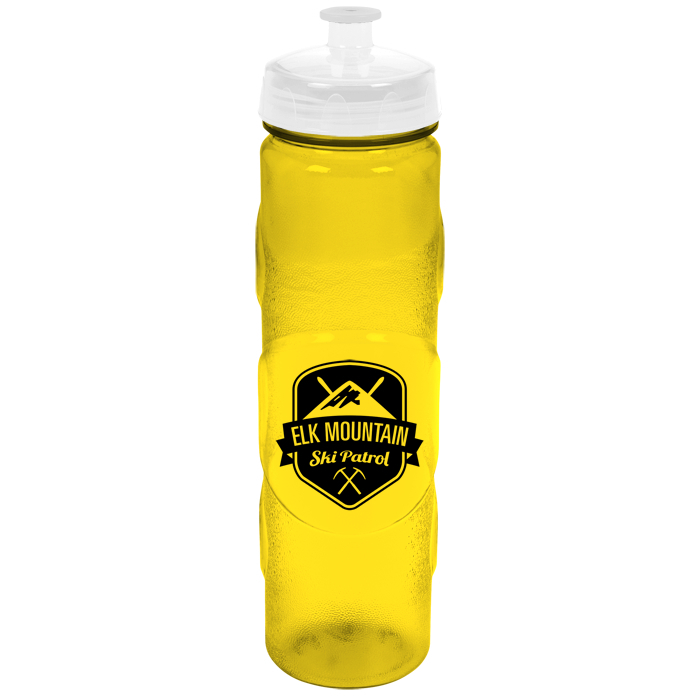 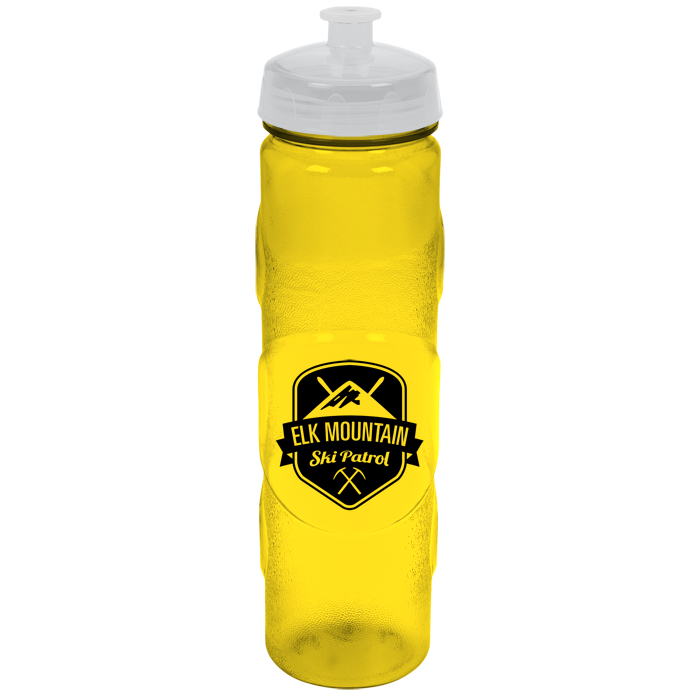 Mix business with pleasure with this imprinted sport bottle! 32 color(s) to choose from! 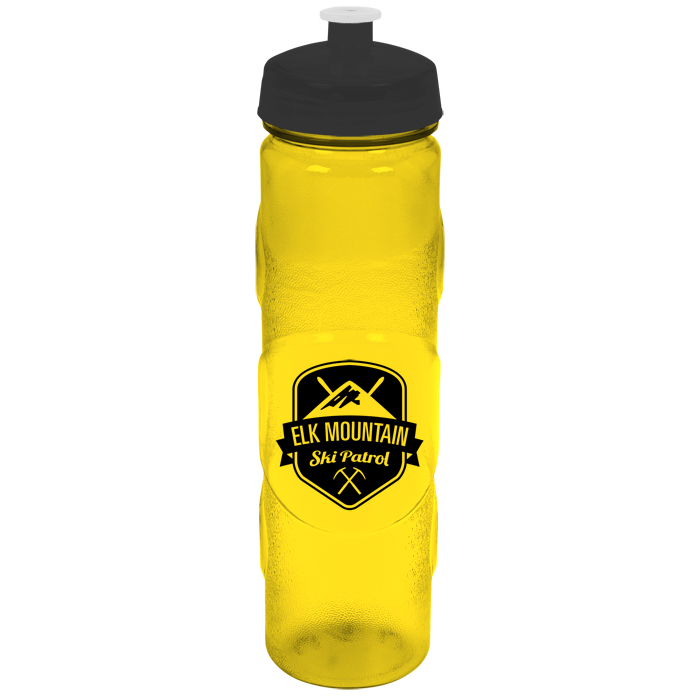 These personalized Refresh® bottles are an attractive way of serving them a refreshing dose of your logo. The molded circular trim and vibrant bottle colors promote your style, spot on. 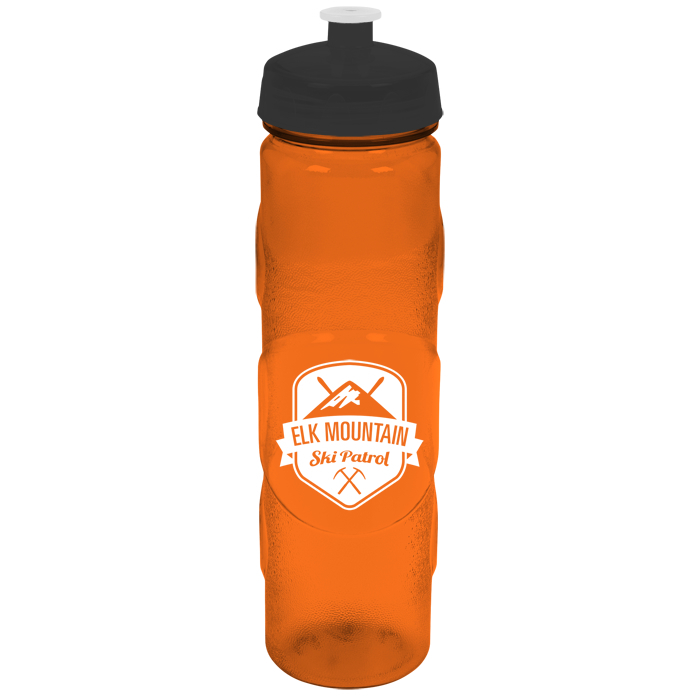 Screw-on cap features a push-pull drink-through opening for an easy one-handed squeeze drink. Wide mouth offers access for cleaning, adding ice or stirring in powdered flavoring. 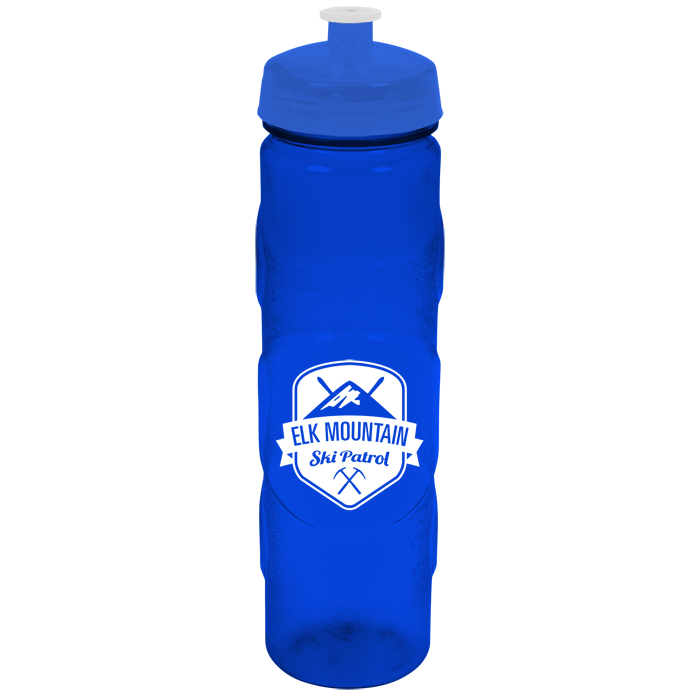 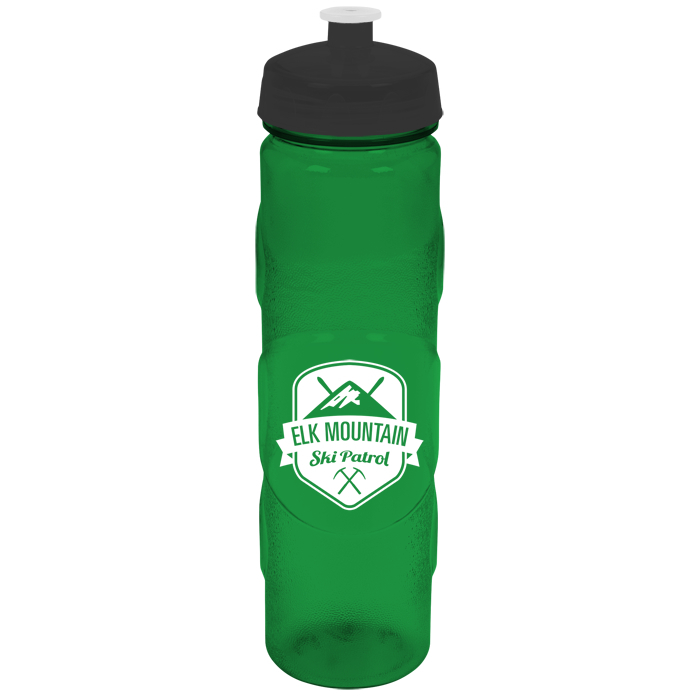 This BPA-free custom PolySure sport bottle is made from #1 PETE plastic, which can be recycled in most areas; check locally for more information. 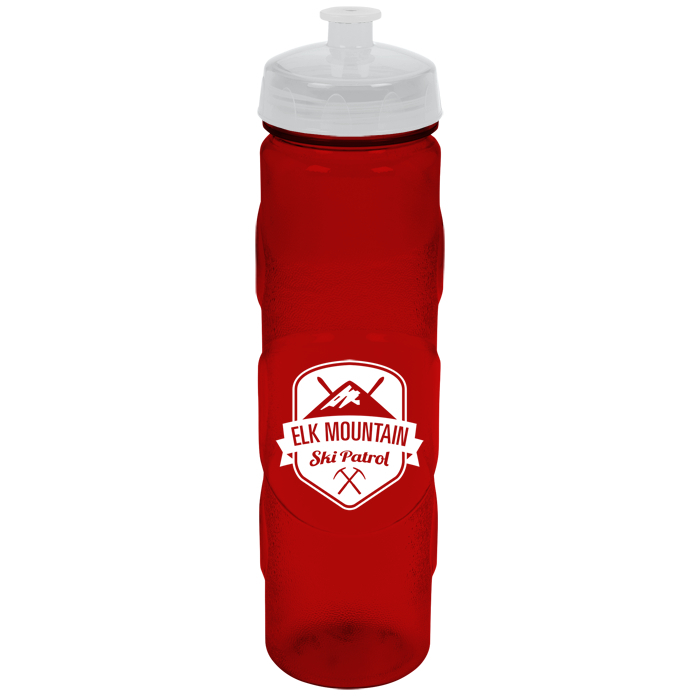 The imprinted bottle is available in one of your choice of an array of vibrant translucent colors to best suit your style. Your price includes a one-color imprint on the raised oval on the side of the bottle.